How can Europe achieve green growth? <h2>How can Europe achieve green growth?</h2><br /><p>Historically, emissions and economic growth have been intrinsically linked. As Europe’s economy grew through the Industrial Revolution, emissions rose – the same effect that we see happening now in emerging economies.</p> <p>Emissions in Europe are now falling, <span>partly due to policies such as the Emissions Trading Scheme, and&nbsp;</span>Europe has already met its goal of reducing emissions by 20 % by 2020. However this fall is also linked to the slowdown of the economic crisis, the <a href="http://ec.europa.eu/clima/policies/ets/index_en.htm" target="_blank">EU says</a>, as lower demand leads to lower emissions.</p> <p>Professor Karl Aiginger from the Austrian Institute of Economic Research who leads the EU-funded WWWforEurope project says that it is possible to successfully move Europe to a low-carbon economy, but it will require a fundamental shift in thinking.</p> <p>‘You will need other measures of output and welfare, you need other technologies, you need another tax system, you need a shift in the technology policy, and then it is possible,’ he said. ‘It’s important that the first stage is not business as usual, it’s investment to change.’</p> <p>He says that government action is vital and it should come in the form of a group of measures that are designed to shift Europe to a new type of economy, one whose success is measured by welfare – for example what kind of lifestyle its citizens have – rather than just gross domestic product (GDP).</p> <p>The WWWforEurope project is designing a new growth and social development strategy for Europe by building an evidence base of economic research, in order to contribute to the EU's future economic policies.&nbsp;<span><br /> <div class="citationsBlock"> <h3>The Issue</h3> <p>Greenhouse gas emissions due to human activities are the main reason behind the current climate change crisis. They have risen significantly since pre-industrial times and global emissions from fossil fuel use and industrial processes increased by <a href="http://edgar.jrc.ec.europa.eu/overview.php?v=CO2ts1990-2013" target="_blank">126 % between 1970 and 2013</a>.</p> <p>How to limit future emissions will be one of the main subjects under discussion at the <a href="http://newsroom.unfccc.int/cop21parisinformationhub/" target="_blank">COP21</a> climate change conference in Paris, which begins on 30 November and aims to draw up a new international agreement to keep global warming under two degrees.</p> <p>The <a href="http://ec.europa.eu/clima/policies/strategies/2020/index_en.htm" target="_blank">EU has already set targets</a> for reducing its greenhouse gas emissions by 20 % by 2020 (from 1990 levels). It has also committed to sourcing 20 % of EU energy from renewables and achieving a 20 % improvement in energy efficiency by the same date, a trio of goals known as the 20-20-20 targets.</p> </div> <p></span></p> <p><strong>Infrastructure</strong></p> <p>According to Prof. Aiginger, EU governments should spend the next 10 or 20 years investing heavily in new infrastructure that is not dependent on fossil fuels, such as passive houses and electric transport. High-carbon goods and services should be highly taxed, and taxes on labour should be reduced, which will increase employment levels. And innovation subsidies should be weighted in favour of green technologies.</p> <p>He also says that because government expenditure makes up a significant proportion of economic output, procurement will be an important tool.</p> <p>‘Another measure would be the government, which is responsible for 50 % of the GDP in European countries today, would switch its expenditures from the current technology to a green technology,' said Prof. Aiginger. 'That means a green procurement policy. For example, business cars that are not driven by gasoline but electric.’</p> <p>The end result will be a low-carbon, low-growth but high-welfare economy, where GDP growth levels out at around 1 % per year, but there is full employment, a reduced working week and a better quality of life.</p> <p>‘In the long run, we know that growth is less important and will be lower in industrial countries,’ said Prof. Aiginger, who says evidence points to the fact that after a certain threshold, there are more important things than income. ‘Many of the people don’t want that much changes of income - they would like to have more leisure time.’</p> <p>He says that achieving our climate goals does not necessarily come at the expense of economic success. ‘It is a trade-off. But it is a trade-off between ecological ambition and economic output as it is measured today. If we measure the output correctly, with all the costs of degradation of land, with emissions and so on, the trade-off is maybe still existent but it is very small.’</p> <p>Dr Heleen de Coninck from Radboud University in the Netherlands agrees that economic growth is an outdated concept. ‘If you’re optimising economic growth, usually the environment and social issues suffer,’ she said. ‘So a better way to guide our economic thinking is definitely necessary. Whether selective growth or steady-state economy or something else, we need to look at that very seriously.’</p> <p>However, she says that one obstacle to moving towards such a future is resistance from industries, such as steel firms, fossil fuel companies or car manufacturers, who may not immediately benefit from such a move.</p> <p><strong>Winners and losers</strong></p> <p>‘This transition to decarbonised economy is going to have winners and losers,’ she said. ‘I think that’s the big challenge in decarbonising the economy, how to get the losers on board.’<br /> <div class="quote-view quotesBlock quote_vertical_right"> <div class="quotesTop"><img src="https://horizon-magazine.eu/sites/all/themes/horizon/images/quotes_top.png" alt="" title="" /></div> <p>‘In the long run we know that growth is less important and will be lower in industrial countries.’</p> <blockquote><p>Prof. Karl Aiginger, Austrian Institute of Economic Research, Austria</p></blockquote> <div class="quotesBottom"><img src="https://horizon-magazine.eu/sites/all/themes/horizon/images/quotes_bottom.png" alt="" title="" /></div> </div> </p> <p>Dr de Coninck runs the EU-funded CARISMA project, which began in February 2015. Over the next four years researchers will be amassing and analysing the different policy and innovation options available to help private sector companies and public sector organisations, such as governments, move towards a low-carbon economy. The aim is to provide them with relevant and reliable information upon which to make decisions.</p> <p>She believes that a successful transition also requires strong leadership and action on issues such as taxation from governments. ‘You cannot change this very robust and stable regime that we have around fossil fuels, which allows emitting CO2 untaxed, or almost untaxed. You need government intervention that renders it basically impossible, or very hard, to have a high-carbon lifestyle.’</p> <p>Dr de Coninck also thinks the EU has a big role to play. ‘The EU I think is extremely important for the move to decarbonisation. If I look at my own country, we wouldn’t have had a renewable energy policy any more without the <a href="http://ec.europa.eu/clima/policies/strategies/2020/index_en.htm" target="_blank">EU 20-20-20</a> targets. The political climate is so volatile that they would have surely been abolished. Fortunately, there’s always the EU target that they need to comply with.</p> <p>However she says one challenge for creating Europe-wide policies is that different Member States will have different priorities. ‘The EU also needs to realise that, within the EU, large differences have emerged in how fast countries want to move to decarbonisation.’<br /> <div class="moreInfoBlock"> <h3>Emissions Trading Scheme</h3> <p>One of the EU’s flagship climate policies is the <a href="http://ec.europa.eu/clima/policies/ets/index_en.htm" target="_blank">Emissions Trading Scheme</a> (ETS), which was launched in 2005 and is still the biggest international system for capping emissions in the world.</p> <p>It introduced a cap on the total level of emissions and allocated quotas to companies in certain sectors, while allowing them to trade emission allowances should they need to. The idea was that the cap would reduce every year and guide Europe towards a low-emission future. But does it actually reduce emissions? And at what cost to the companies involved?</p> <p>The EU-funded ENTRACTE project analysed the effect of the ETS on areas like competitiveness, employment, levels of innovation and, of course, emissions, and found that overall, emissions from companies within the ETS have shrunk significantly compared to companies outside the scheme, while economic growth has kept pace.</p> <p>The research also found that innovation is up in firms within the scheme – their low-carbon patents increased by 30 % – and there has been no drag on their levels of competitiveness.</p> </div> </p> <br /> <img src=”http://www.google-analytics.com/collect?v=1&tid=UA-40077089-1&cid=how-can-europe-achieve-green-growth&t=event&ec=republish&ea=read&el=how-can-europe-achieve-green-growth&cs=republish&cm=republish&cn=republish&cm1=1" /> This post <a href="https://horizon-magazine.eu/article/how-can-europe-achieve-green-growth.html">How can Europe achieve green growth?</a> was originally published on <a href="https://horizon-magazine.eu/">Horizon: the EU Research &amp; Innovation magazine | European Commission</a>. It is possible for Europe to shift to a decarbonised economy – and even achieve full employment at the same time – but only if there is government leadership, large upfront investment, and a new way of measuring economic outputs, according to researchers who are coming up with a strategy for how the EU can achieve this. Historically, emissions and economic growth have been intrinsically linked. As Europe’s economy grew through the Industrial Revolution, emissions rose – the same effect that we see happening now in emerging economies. Emissions in Europe are now falling, partly due to policies such as the Emissions Trading Scheme, and Europe has already met its goal of reducing emissions by 20 % by 2020. However this fall is also linked to the slowdown of the economic crisis, the EU says, as lower demand leads to lower emissions. Professor Karl Aiginger from the Austrian Institute of Economic Research who leads the EU-funded WWWforEurope project says that it is possible to successfully move Europe to a low-carbon economy, but it will require a fundamental shift in thinking. He says that government action is vital and it should come in the form of a group of measures that are designed to shift Europe to a new type of economy, one whose success is measured by welfare – for example what kind of lifestyle its citizens have – rather than just gross domestic product (GDP). The WWWforEurope project is designing a new growth and social development strategy for Europe by building an evidence base of economic research, in order to contribute to the EU's future economic policies. Greenhouse gas emissions due to human activities are the main reason behind the current climate change crisis. They have risen significantly since pre-industrial times and global emissions from fossil fuel use and industrial processes increased by 126 % between 1970 and 2013. How to limit future emissions will be one of the main subjects under discussion at the COP21 climate change conference in Paris, which begins on 30 November and aims to draw up a new international agreement to keep global warming under two degrees. The EU has already set targets for reducing its greenhouse gas emissions by 20 % by 2020 (from 1990 levels). It has also committed to sourcing 20 % of EU energy from renewables and achieving a 20 % improvement in energy efficiency by the same date, a trio of goals known as the 20-20-20 targets. According to Prof. Aiginger, EU governments should spend the next 10 or 20 years investing heavily in new infrastructure that is not dependent on fossil fuels, such as passive houses and electric transport. High-carbon goods and services should be highly taxed, and taxes on labour should be reduced, which will increase employment levels. And innovation subsidies should be weighted in favour of green technologies. He also says that because government expenditure makes up a significant proportion of economic output, procurement will be an important tool. The end result will be a low-carbon, low-growth but high-welfare economy, where GDP growth levels out at around 1 % per year, but there is full employment, a reduced working week and a better quality of life. However, she says that one obstacle to moving towards such a future is resistance from industries, such as steel firms, fossil fuel companies or car manufacturers, who may not immediately benefit from such a move. Dr de Coninck runs the EU-funded CARISMA project, which began in February 2015. Over the next four years researchers will be amassing and analysing the different policy and innovation options available to help private sector companies and public sector organisations, such as governments, move towards a low-carbon economy. The aim is to provide them with relevant and reliable information upon which to make decisions. Dr de Coninck also thinks the EU has a big role to play. ‘The EU I think is extremely important for the move to decarbonisation. If I look at my own country, we wouldn’t have had a renewable energy policy any more without the EU 20-20-20 targets. The political climate is so volatile that they would have surely been abolished. Fortunately, there’s always the EU target that they need to comply with. 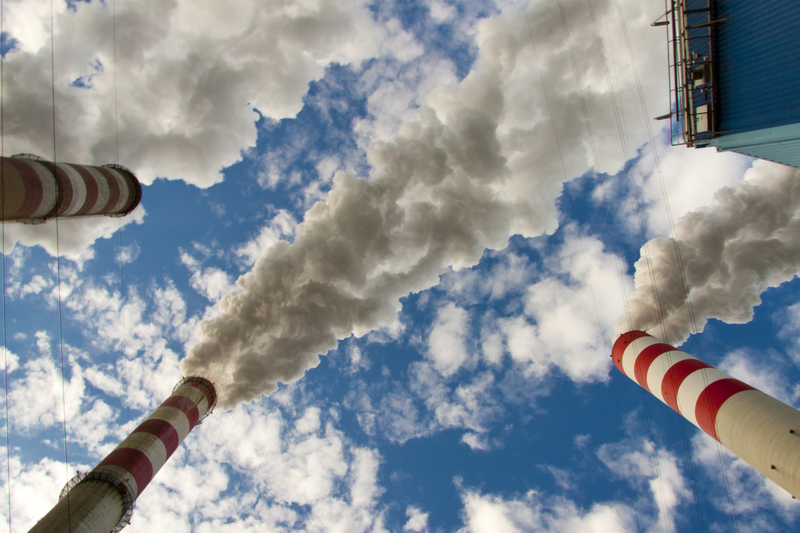 One of the EU’s flagship climate policies is the Emissions Trading Scheme (ETS), which was launched in 2005 and is still the biggest international system for capping emissions in the world. It introduced a cap on the total level of emissions and allocated quotas to companies in certain sectors, while allowing them to trade emission allowances should they need to. The idea was that the cap would reduce every year and guide Europe towards a low-emission future. But does it actually reduce emissions? And at what cost to the companies involved? The EU-funded ENTRACTE project analysed the effect of the ETS on areas like competitiveness, employment, levels of innovation and, of course, emissions, and found that overall, emissions from companies within the ETS have shrunk significantly compared to companies outside the scheme, while economic growth has kept pace. The research also found that innovation is up in firms within the scheme – their low-carbon patents increased by 30 % – and there has been no drag on their levels of competitiveness.